Perfect for the winter period or on a somewhat colder summer night, women's jumpers will keep you warm! Style them with a pair of boyfriend jeans, leather boots and a coat for a fashionable winter's outfit. The best thing about women's jumpers? They're no longer plain! 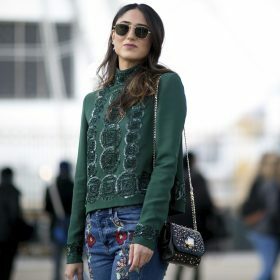 While you scroll down the category, you'll notice jumpers with ruffles, embroidery, logos and many other details we're sure you're going to love. So go ahead and explore the selection below to find your new women's jumpers selection for this season!